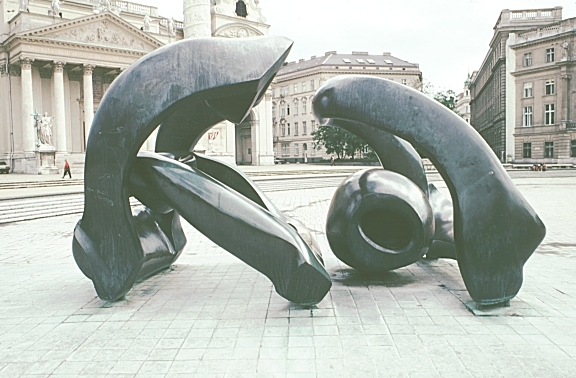 Images of Hill Arches, Vienna, Austria, 1978, by Henry Moore. Digital Imaging Project: Art historical images of European and North American architecture and sculpture from classical Greek to Post-modern. Scanned from slides taken on site by Mary Ann Sullivan, Bluffton College. 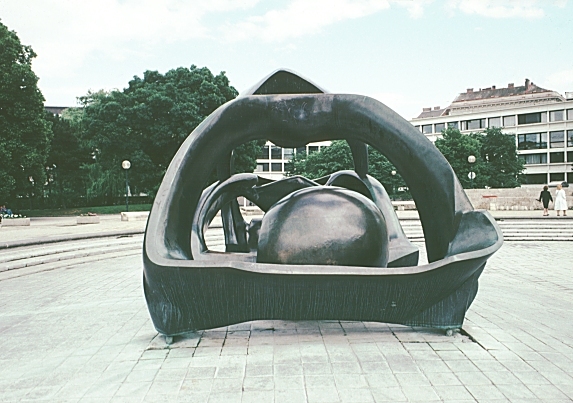 Although the sculpture was sited in 1978, it was made in 1973. Thanks so much to Anita Feldman Bennet, Curator, Henry Moore Collections and Exhibitions, for this correct information. Located on Karlskirche Plaza, Hill Arches can be seen from a variety of angles. 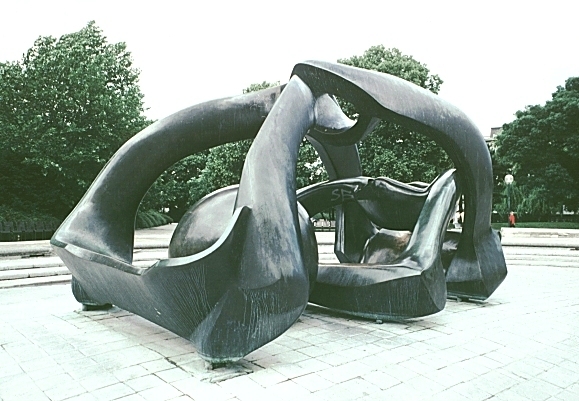 See also Moore's simpler Large Arch in Columbus, Indiana. 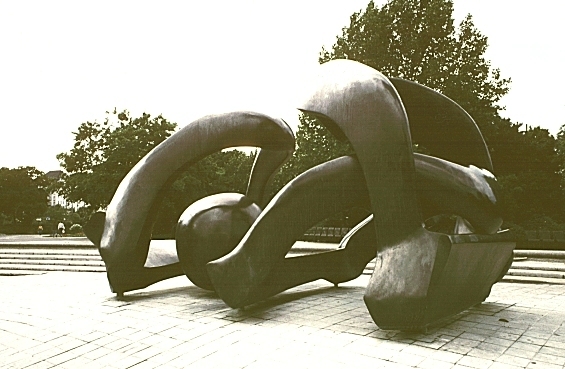 Other works on this site by Moore include: The Archer, Large Arch, Large Four Piece Reclining Figure, Locking Piece, Seated Woman, Three-Part Reclining Figure, and Upright Motive No. 1: Glenkiln Cross.